Whether carved from marble and stone or painted on wooden floors, labyrinths have offered pathways to inner reflection for more than 4,000 years. 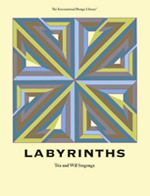 Found throughout the world, labyrinths provide one way in and one way out. Let the words and images guide you to your own inner center by showing a connection to a force outside oneself. 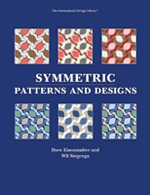 Symmetric designs are everywhere you look, but how are such patterns formed? Through the art of Stegenga and the research of Eisenstadter, readers and design aficianados alike can unlock the mathematical mystery behind these patterns. Follow along as the pair delves into the 17 types of two-dimentional repeating patterns. 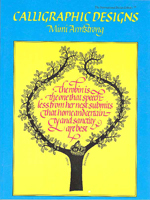 The artist’s original designs, combining calligraphic mottos, quotations or anniversary dates with appropriate art, producing witty and harmonious compositions, and thus illustrating how to achieve similar results. 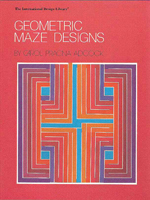 Fascinating maze designs in geometric forms. ©2012-2013 Stemmer House Publishers. All rights reserved.